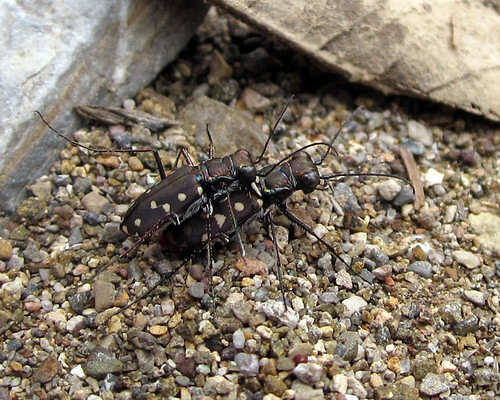 Posted on September 8, 2011, in Arizona Lep Course, Coleoptera, Invertebrates. Bookmark the permalink. 6 Comments. That’s a good shot, well done! Thanks! So far my photography skill is mostly based on luck, hoping I can go to bugshot next year or get some photography lessons elsewhere. I know I have at least one in my tomato patch, but I can’t find it. He got my first ripe roma just hours before I was going to pick it! At least now I know what I’m looking for. Thanks for the pic.And the waiting for the ripening—it’s truly killing me. All my tomatoes are heavy with green fruit that refuses to blush. Yea inesct photography! You’ve got some good shots! That must have been an awesome experience.